ePublishing Knowledge BaseePublishing Knowledge BaseePublishing Knowledge Base Creating and Managing EventsHow do I export an event attendee list as a CSV/Excel-friendly file? If you need to download your event attendee list, use the EXPORT ALL button. You will receive the file in a CSV (comma-separated value) format,which can be opened in Excel or other spreadsheet software. 1. 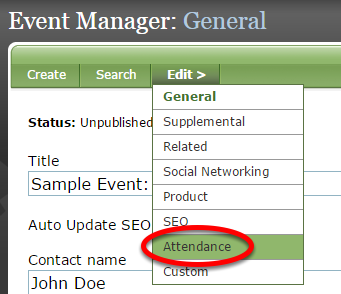 Access the attendee list by clicking Attendance under Edit in the Event Manager. You do not need to click Select all for this function to work. 3. Open the download in Excel or another spreadsheet software. Zoom: Open the download in Excel or another spreadsheet software. The CSV returns all data about the event attendees, including the order date. Prev: How do I update multiple event attendee records at the same time? 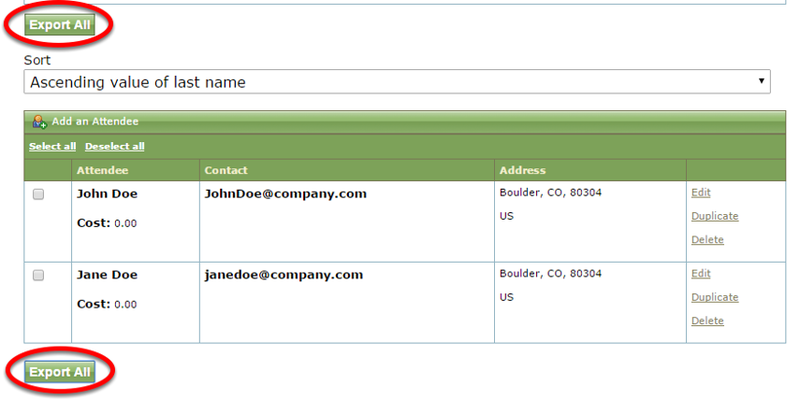 Next: How do I market to event registrants?